Podcast. IM. Downloadable ring tone. It's the language of the future and chances are, your kids are already fluent. Are you? 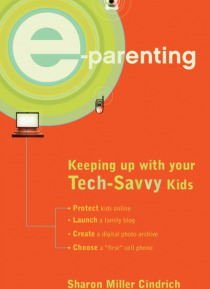 For all those tech-challenged parents out there, E-Parenting will teach you about various technologies and explain how you can make the most of each with your family. Become a master of: the internet handheld organizers cell phonesdigital camerasdigital recording devicesGPS … technologyand much more!From the Trade Paperback edition.